Pride of the Ocean welcomes Olympic gold medalist Greg Louganis who will be on board the ship to welcome Pride of the Ocean passengers going on the Alaska cruise next summer. 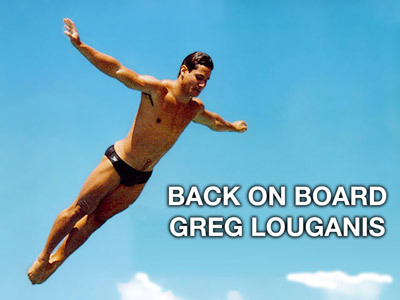 Joining him will be Back on Board Greg Louganis director Cheryl Furjanic and other LGBT filmmakers and film fans. The floating film festival is sailing from Seattle to Alaskaâ€™s Glacier Bay August 18-25, 2013 aboard the Norwegian Pearl.